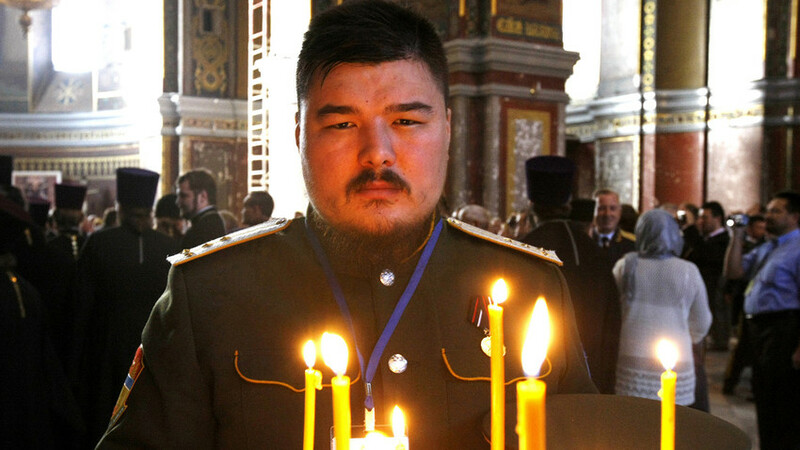 Simeon Boikov, the young leader of the Zabaikal Cossack Society of Australia. Russians looked with interest at the revival of Cossack culture in Australia. While the organisation, The Zabaikal Cossack Society of Australia has now clarified that a repatriation movement isn’t actually their plan – and that that was a misunderstanding, the outlook of this group based in western Sydney, suggests that a revival of Russian Imperial-era traditions and values is under way, not just in Russia, but among some Cossack diaspora populations as well. Led by a young ataman (or chairman), Simeon Boikov, this Australian association describes itself as a cultural and historical organisation. In Cossack terminology, it's also a recognised stanitsa (or a settlement within a voisko). While Ataman Boikov (who also goes by Simon) can’t claim to represent all Cossacks in Australia – and, in fact, has attracted considerable controversy within Australia’s Russian community – his passion for the revival of Cossack culture is indisputable. Born in Australia and raised in the Sydney suburb of Cabramatta, 24-year-old Boikov said that the last member of his family to serve as a Cossack under the tsars was his great great grandfather, Petr Georgievich Tonkih, who was born in 1890, in a small town east of Lake Baikal. The word 'kazak' (translates into English as Cossack) comes from the Turkic language family and means someone that is free; an adventurer, a wanderer. Tonkih moved to Manchuria during the Russian Civil War, where Boikov's great grandparents were born in the '30s and '40s. They migrated to Australia in the '60s, during China's Cultural Revolution. Boikov cuts an unusual figure in contemporary Australia. His yearning to connect with certain pre-1917 traditions and values seems noble and touching and, at the same time, out of step. A new version of traditional Cossack culture is being created in Russia in an environment of increasing moral conservatism, tighter political control and growing nationalism – and, in that context, Boikov’s focus makes more sense. The new stanitsa, which Boikov said includes around 150 members, has its headquarters at the Russian Sports and Social Club at Kemps Creek, Sydney. The stanitsa uses the venue for meetings, celebrations and umm... marching practice. Boikov says the stanitsa is connected to other Transbaikal Cossack groups in Australia, including those in Geelong, Dandenong, Melbourne and Tasmania. Culture and traditions vary between different voiskos because Cossacks often adopted the cultural, musical and military customs of areas they conquered, courtesy perhaps of their policy of recruiting colonised locals into their ranks. Australia’s first Cossack stanitsa was established in Sydney, in 1950, by a Ural Cossack group. Since 1981, they have been led by Ataman Dmitry Rechkalov, who at 75, saidthat many of his stanitsa’s members had passed away – and were now buried in Sydney’s Rookwood Cemetery. Boikov's stanitsa has been leading a volunteer program for restoring historic Cossack graves at Rookwood. "Atamans and generals of the Tsarist Army are buried there," Boikov said. "And in the process of restoring their graves, we’re learning fascinating details from older community members about these people." 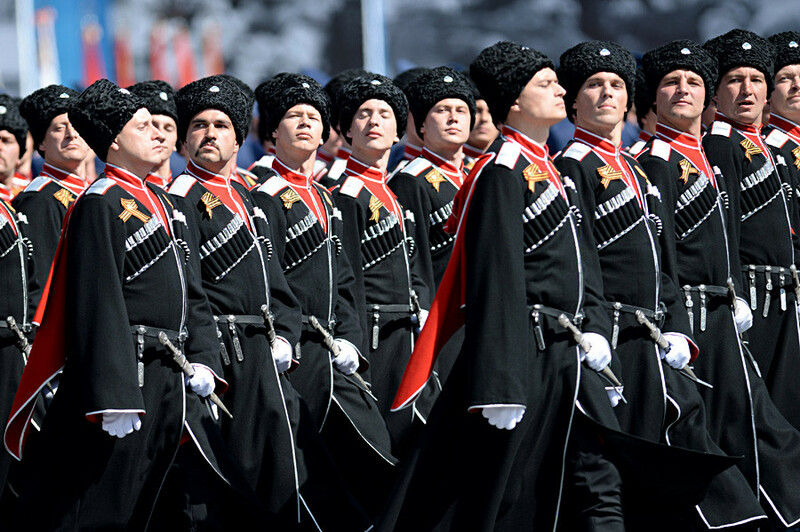 Cossacks today consider themselves Russian – albeit a special breed of Russian. The Cossacks are considered to be a subethnic group. Cossack music is another passion of Boikov's, and he said: "Every time Cossacks get together, they sing." His stanitsa has been recording community members singing traditional songs and sending the recordings to Russia's Ministry of Culture, which, Boikov said, is grateful, because many of these songs were lost or "perverted" under the Soviets. Boikov said how Transbaikal Cossack songs changed after the Russian Civil War, with geographical references shifting from Siberia to China. He said that post-emigration, new lyrics, which described the trauma and loss Cossacks experienced leaving Russia, were put to old melodies. The Cossack diaspora has played an important role preserving Cossack culture because during Soviet times, Cossacks, as a group, were targeted because of their involvement in White resistance movements after the revolution. From 1918, Cossacks were systematically executed and imprisoned. It’s estimated that at least 500,000 were killed. In 1916, there were thought to be around 5 million Cossacks in the Russian Empire, while the 2010 census, revealed that only 140,000 citizens identified as Cossacks in the Russian Federation. Cossacks can't be atheists, and a Cossack circle (a general military council of Cossacks) can't be held without a priest to bless the event. For safety in Soviet times, many Cossacks changed their names and hid their identities. Since the collapse of the Soviet Union in 1991, the Cossack diaspora have been actively repatriating historical and cultural information, as well as relics (including flags, uniforms and medals), to their relevant voiskos in Russia. Ataman Rechkalov said how in 1993 (the first year he could get a Russian visa which allowed him to visit the Urals) he took with him books about Cossack history, which were devoured by Cossack historians there. While there was some limited Cossack immigration to Australia in the ‘20s, most Australians of Cossack descent arrived post WWII, via China or Europe; and both routes were fraught. 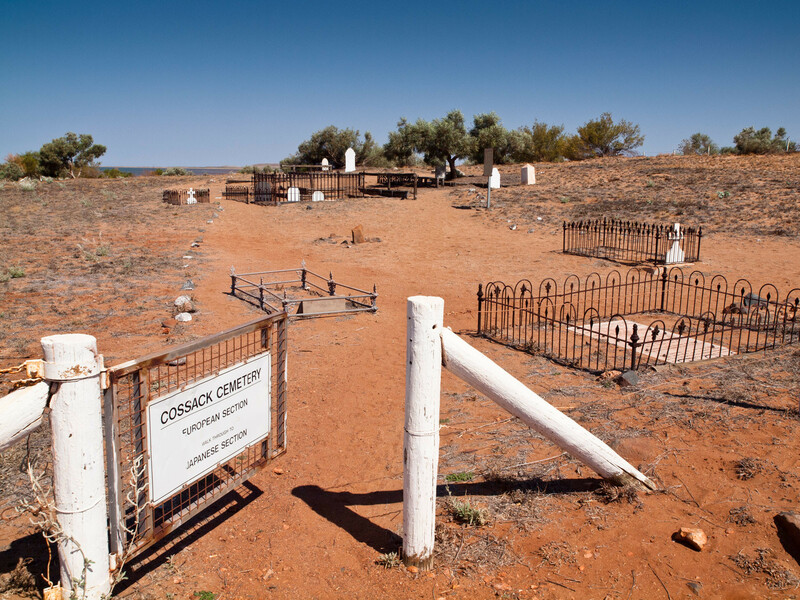 Cossack is a historic ghost town in the Pilbara region, Western Australia, and was famous for pearls and gold in the 1800s. Some Cossacks who took refuge in China after the Bolshevik victory, were later repatriated and sent to labour camps when the Soviet Army invaded and occupied Harbin, in 1945. In Europe, in 1945, displaced Cossacks were also repatriated, this time, by the British, following an agreement signed at Yalta. Despite protesting and insisting they were political refugees, an estimated 45,000-50,000 Cossack soldiers and civilians were forcibly sent to the USSR, where some were executed on arrival and others were sent to labour camps. This repatriation became known as the Cossack Betrayal. Those who managed to escape these repatriations, ended up scattered, mainly in Australia, Canada and the US. Boikov cited his Orthodox faith as central part of his Cossack identity. He spoke of Russia with spiritual reverence, and said he fully supported the traditional values currently being promoted by the Russian government. The revival of Cossack culture in the Soviet Union began with Gorbachev’s perestroika. In 1988, the USSR passed a law allowing the re-formation and creation of Cossack voiskos. Today, Russia has at least 30 Cossack military schools, and some regional authorities have handed limited policing duties over to local Cossack militias, which is why Cossacks, in traditional uniform, can be seen patrolling the streets of Moscow. The Russian Army has also had a Cossack division since 2005, and Cossack units have turned up – uninvited – to several post-Soviet conflicts on Russia’s southern borders. The Cossacks’ brand of patriotism fits well with the conservative policies and nationalist rhetoric that have come to characterise Putin's third presidential term. Boikov’s view on this: "In the '90s Russia adopted, and had forced upon it, some of the worst aspects of western culture and morality. I'm proud that Russia is again becoming a great superpower and is reviving its traditional values."